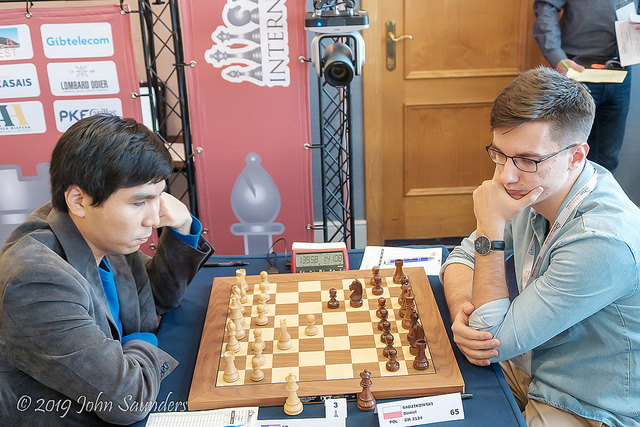 John Saunders reports: After the second round of the 2019 Gibraltar Masters, played on 23 January at the Caleta Hotel, 33 players reached a maximum score of 2/2, including just three of the top ten seeds – Wesley So, David Navara and Le Quang Liem. Of the seven that are left, two have only one point from two, having drawn both games so far – Yu Yangyi and, unusually, Hikaru Nakamura. The maximalists on 2/2 include only one player rated below 2400, namely untitled Nigerian player Kolade Onabogun, rated 2189, who is on a roll, having defeated two 2500+ rated GMs in his first two games. I learnt today from my social media stream that there is a Japanese manga series based on the game of Go called ‘Hikaru No Go’ and it struck me that it would make a suitable title for this piece. Hikaru Nakamura has such a phenomenal record in Gibraltar that, like Magnus Carlsen in the wider world of chess, he’s the big news story whether he is winning or losing. The fact that he’s done neither so far but has drawn both his games is still the headline. 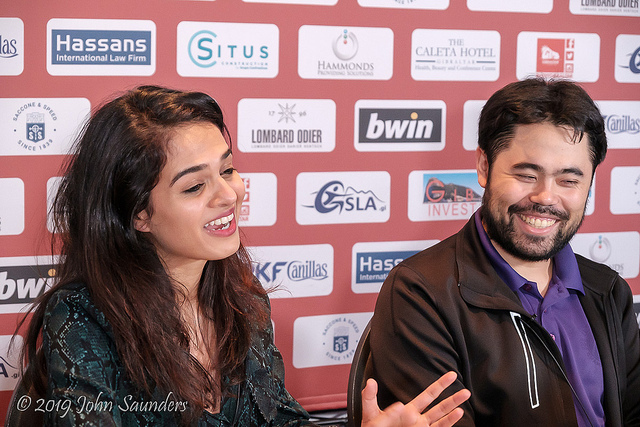 In truth, however, scoring 1/2 at the start of a ten-round Swiss is no big deal as nobody knows better than Hikaru, and he presented himself for his 9pm master class all smiles and good humour, even when the computer equipment delayed the start of the session. If you missed it, you can still find it on our website. It was a superb show. Hikaru was not the only elite-level player to draw his first two games. Yu Yangyi, Rauf Mamedov and Maxim Matlakov were also held at bay by Manuel Fenollar Jorda (Spain), Ariel Erenberg (Israel) and Vaso Blesic (Serbia) respectively to reach 1/2. These four games all took place on a little cluster of boards in a corner of the side room where, unfortunately, we don’t have electronic boards and I don’t yet have any details of what happened. As open tournaments grow in strength, elite players seem to have greater difficulty in dispatching those rated significantly lower than themselves. Wesley So had no such difficulties, however. Playing the 24-year-old Polish GM Daniel Sadzikowski, he followed one of the recent Carlsen-Caruana world championship games in which his opponent improved upon Carlsen’s play in game 8 (which the champion might easily have lost). 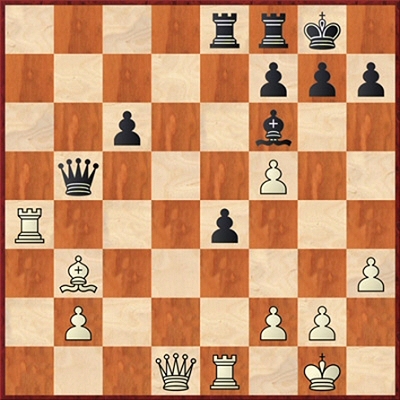 However, Sadzikowski’s premature f4-f3 move on the kingside was comprehensively refuted by Wesley So who sacrificed his queen for rook, bishop, pawn, control of the light squares and various other positional plums and followed it up with some immaculate technical play to secure what looked like an easy point. But beware, readers, this is one of those “don’t try it at home” games. Wesley is such a great player that he makes it all look ridiculously simple, his minor pieces, particularly his light-squared bishop, running rings round his opponent’s hapless queen. But maybe hold back on those Q for R+B+P sacs in your club championship until your rating proceeds north of, let’s say, 2400. Enjoy the game, though, it’s terrific. Quite a number of the elite players who had won their first-round games were also held to draws in the second round. Maxime Vachier-Lagrave won a pawn against Abhimanyu Puranik but the 18-year-old Indian GM was unfazed and held him at bay. In striving to breath life into the position MVL even went so far as to go a pawn himself and had to produce his best endgame play to avoid losing. Levon Aronian had an enduring initiative with Black against Mariya Muzychuk but couldn’t find a way past tough defence. Here’s an idea readers could try at home if you fancy a sneaky win with an opening trap. If Wesley’s game was a sumptuous main course, this is a delicious, chocolatey dessert to finish with. But do watch those calories, readers. 1.d4 Nf6 2.c4 e6 3.Nc3 Bb4 4.Qc2 b6 5.e4 c5 6.d5 Qe7 7.Nge2 exd5 8.exd5 0‑0 9.Bg5 Ba6? Alarm bells start sounding. Black really needs to play 9...h6 first. 10.0‑0‑0 Setting the trap. Is Black a pawn snatcher? 10...Bxc4? Yes, but he’s going to regret it. 11.Ng3! Bxf1 12.Nf5! Actually 12.Rhxf1 wins too. Black is seriously behind in development and White’s pieces will be all over his king long before he manages to get his pieces into the game. 12...Qd8 13.Ne4 Black’s four minor pieces are left doing nothing while White’s three minor pieces are conspiring to commit regicide. 13...Ba6 If Black had done his homework he would have discovered this has all been played before. Razan-Hoelzl, Zadar 2010, proceeded 13...Bxg2 14.Nxf6+ gxf6 15.Bh6 when Black decided to throw in the towel. 14.Bxf6 gxf6 15.Qb3 Kh8 16.Ned6! 1‑0 A nice finishing touch, facilitating Qg3 and Qg7 mate as the only defensive move, Rg8, is answered by Nxf7 mate.